By Dawud Walid| Executive-Director of the Council on American Islamic Relations- Michigan. I believe in “keepin’ it real,” and I cannot help but question why in the heck are we, in 2010, recognizing Columbus Day in America. FACT #1: African Muslims reached the Americas prior to Columbus. Columbus even stated in his diary that he spotted a mosque when reaching the so-called New World. FACT #2: Columbus was not even the first European to have reached America. Ever heard of Leif Ericson who reached the Americas about 500 years before Columbus? FACT #3: Columbus was trying to reach India; he was LOST when he reached America! FACT #4: Columbus’ “discovery” in 1492 was sanctioned by the royal family of Spain, the same government that presided over the Spanish Inquisition against Muslims and Jews in 1492. FACT #5: Columbus’ “discovery” paved the way of European colonial conquest of the Americas and the ethnic cleansing of the Native (not Indian) people. Based upon these facts especially #5, what were the founders of Columbus Day in America trying to convey? Recent attempted extremist attacks with international connections should prompt us to take a deeper look at root motives instead of simplistically faulting religion. The tired cries of the un-nuanced, such as former New York City Mayor Rudolph Giuliani stating that President Barack Obama is complicit in the recent failed Times Square attack because he fails to use the nomenclature “Islamic terrorism” to define such attacks, plays no constructive role in making our nation safer. Moreover, the Giuliani-type discourse misses a clear yet painful point. Many of these criminal acts are direct blowback in response to our foreign policy missteps. 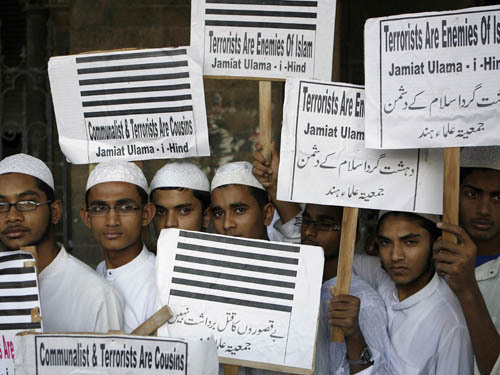 Students of Jamiat Ulema-e-Hind protest against Terrorism in a rally in 2008. JUH is one of the largest Indian Organization of Islamic Scholars and one of the largest Deobandi Organization of S. Asia. KARACHI, Pakistan — The American-born spokesman for al-Qaida has been arrested by Pakistani intelligence officers in the southern city of Karachi, two officers and a government official said Sunday, the same day Adam Gadahn appeared in a video urging U.S. Muslims to attack their own country. The arrest of Gadahn is a major victory in the U.S.-led battle against al-Qaida and will be taken as a sign that Pakistan is cooperating more fully with Washington. It follows the recent detentions of several Afghan Taliban commanders in Karachi. Gadahn — who has often appeared in al-Qaida videos — was arrested in the sprawling southern metropolis in recent days, two officers who took part in the operation said. A senior government official also confirmed the arrest. Join WCC-MSA as Dawud Walid discusses the roots of extremism and the middle ground. Morris Lawrence Building, Room # 101. 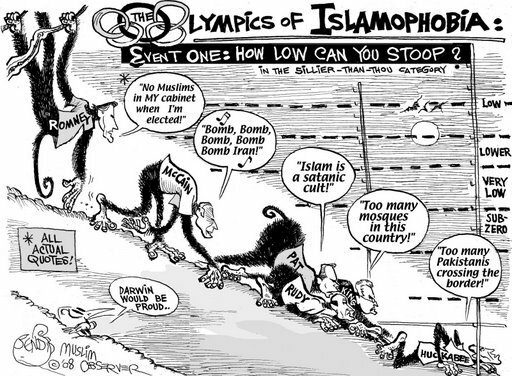 With the rise of anti-Muslim hate crimes, the spike in Islamophobia, and the ever so increasing ignorance and misunderstanding of Islam, it is essential to educate ourselves about Islam, the different types of extremism and the difference between Islam and extremism.